Climate Change Resilient Development (CCRD) was a global, four-year project in support of USAID’s Global Climate Change Office (2012-2015). CCRD's climate adaptation-focused programs operate in 36 countries throughout Asia, Africa, Eastern Europe, and Latin America and the Caribbean. Employing USAID/GCC's strategic “development first" framework, CCRD delivered guidance, technical assistance, and capacity building to 3 Regional Bureaus and 8 Missions for USAID, several national governments, and dozens of local communities around the world to integrate climate change concerns into development policy, planning, and implementation. FINAL PROJECT REPORT IS HERE! 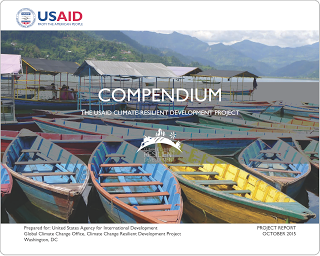 This fun, colorful, fact filled, easy to read final report, entitled USAID CCRD Compendium (PDF), describes CCRD's activities, products, findings, and key accomplishments. It also provides links to connect USAID Bureaus and Missions and international practitioners to the large library of project resources, including tools, guidance, training materials, technical reports, and journal articles. In addition, the CCRD team provided some suggestions for future work to advance USAID’s development first approach to climate adaptation. Check it out! Explore the CCRD Library for Technical Reports, Factsheets, and Workshop Summaries. 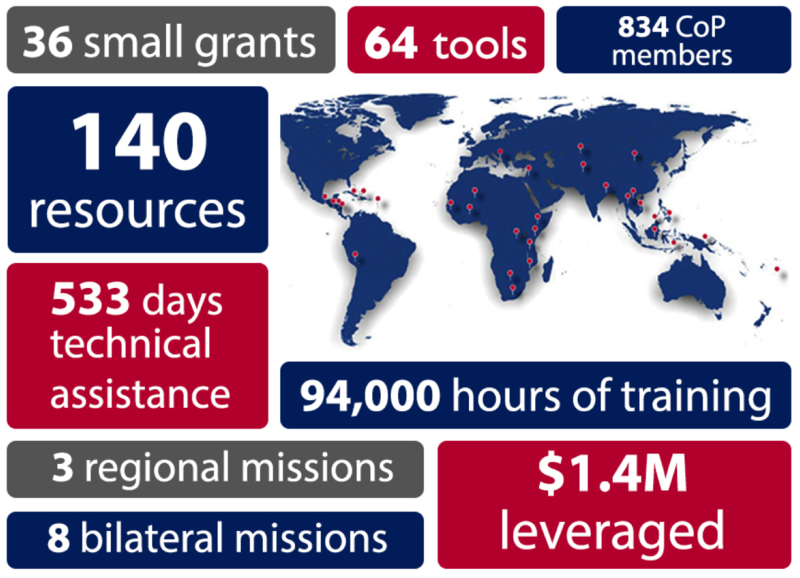 CCRD enabled USAID Bureaus and Missions to mainstream adaptation into planning; utilize custom-tailored, industry-first tools; provide technical assistance; and build capacity to their respective stakeholders. For more information, please contact Michael E. Cote, Senior Climate Adaptation Specialist at michaelcote@ccrdproject.com. Climate Access: "USAID Advancing Climate-Resilient Development"
Climate Services Partnership: April 2015 Newsletter—"Climate Services Highlighted at Advancing Climate-Resilient Development Symposium"
"Climate change will impact the private sector; it will also end up in their back yard, affect their consumer market, business activities, supply and distribution chains, and might change the value of their assets. The private sector must understand that not investing in adaptation and urban resilience will be an expensive experience in the long run." "People can regularly vote out or overturn governments, but cannot change the private sector as easily. Private sector executives stay in positions of power in the community for much longer, and can thus also effect leadership longer."